PELICAN ISLAND, TX (KTRK) -- An urn discovered on Pelican Island last week is back with its rightful owner. Taylor Jones and her husband, Brandon, found Earline Mary Barker's urn Friday while seeking hidden treasures along the Galveston shore. Barker died in 2003 at age 82, leading Jones to believe her family may have lost it during Hurricane Ike. Now the Galveston County Sheriff's Office says it has tracked down Barker's niece and the Joneses are in contact with her. The niece lives in Shreveport, Louisiana so the Joneses plan to ship the urn. 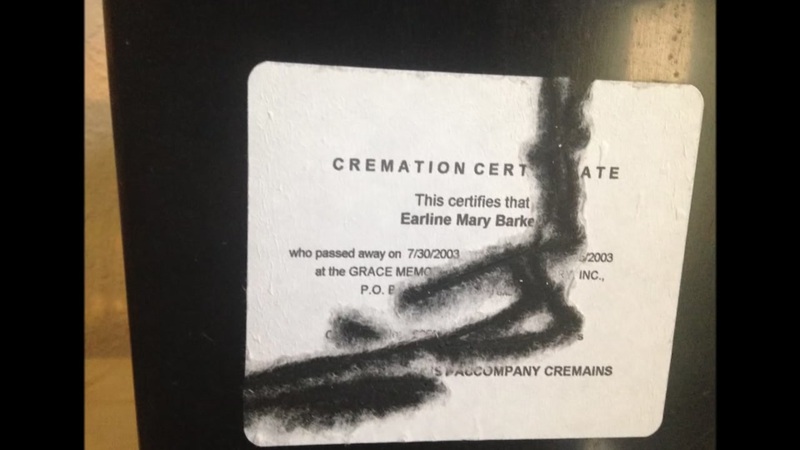 Do you recognize this missing cremation urn?